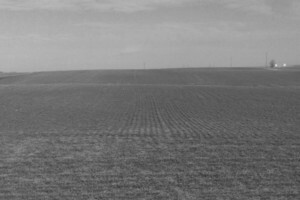 There is a new movement afoot throughout rural America. Every fall, millions of farmers climb In their combine, head to the field and harvest their crops. Over the past couple of years, though, farmers began to add to this annual tradition by embracing a new type of technology: Social Media! Farmers are outfitting themselves with leather gloves, steel-toed boots and Carhartts and heading to the fields. With them they are taking their Flip cams, smartphones and tablets to share their farm life with the rest of the world, by posting harvest updates throughout the day on Facebook, Twitter, YouTube, blogs and other forms of social media. These people call themselves “agvocates,” or advocates for agriculture. This movement is built on the ideals of ethics, family, hard work and transparency in how food is raised. This is a peaceful movement, there are no demands, only prayers for good weather to help get the crops harvested in a quick and safe manner. The easiest way to follow along is to pick out a few farmers from the @followfarmer database ( http://bit.ly/FollowFarmer ) and follow them on their blogs, Facebook pages, Google+ profiles, and Twitter accounts. 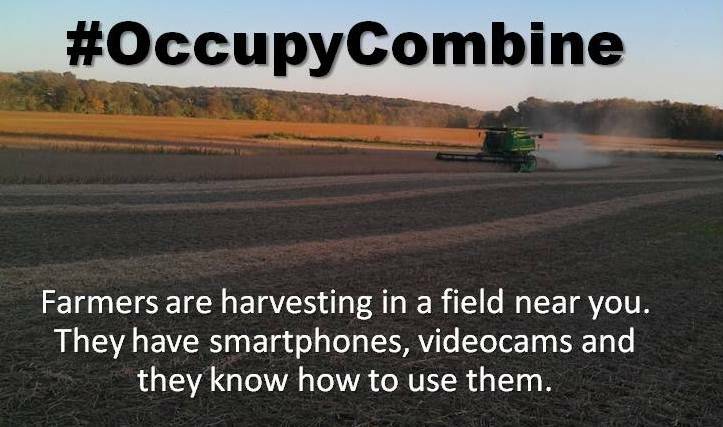 You can also join in the conversation by tagging your tweets with the #occupycombine hashtag! Be sure to check out this Occupy Tractor video featuring my Friend Jennifer’s son! Found you through Katie Pinke’s post on FB. Great idea! The Little Farmer just said yesterday, “My mouth won’t let me stop coughing. Hopefully I will stop by the time papa runs corn.” He’s certainly planning to be part of the #occupycombine or grain cart movement!